On the 11th hour of the 11th day of the 11th month, Canadians are asked to pause in memory of the thousands of men and women who sacrificed their lives in military service. The association between the poppy and war dates back to the Napoleonic wars, when a writer saw a field of poppies growing over the graves of fallen soldiers. During the Battle of Ypres in 1915, Canadian Lt.-Col. John McCrae was inspired to write the poem In Flanders Fields on sighting the poppies growing beside a grave of a close friend who had died in battle. The poem was a great inspiration in adopting the poppy as the Flower of Remembrance in Canada, France, the U.S, Britain and Commonwealth countries. The first poppies were distributed in Canada in 1921. Today the volunteer donations from the distribution of millions of poppies is an important source of revenue for the Royal Canadian Legion that goes toward helping ex-servicemen and women buy food, and obtain shelter and medical attention. At public gatherings in Ottawa and around the country, Canadians pay tribute with two minutes of silence to the country's fallen soldiers from the First World War, the Second World War, the Korean War, the Afghanistan conflict and peacekeeping missions. Also known as Veterans Day in the U.S., Remembrance Day was first held throughout the Commonwealth in 1919. 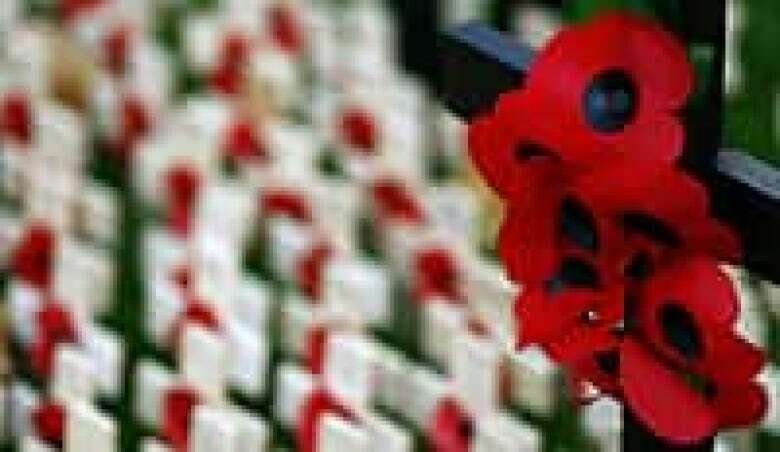 It marks the armistice to end the First World War, which came into effect at 11 a.m. on Nov. 11, a year earlier. It isn't a national holiday across Canada, but employees in federally regulated employees do get the day off. Several provinces and territories — including Alberta, British Columbia, New Brunswick, Newfoundland and Labrador, Northwest Territories, Nunavut, Prince Edward Island, Saskatchewan, and Yukon — do observe a statutory holiday. They died fighting at Vimy Ridge, Hill 70, Passchendaele and Ypres — battles remembered for atrocious conditions and Canadian valour. In Ypres, Canadian soldiers were exposed to German gas attacks, yet continued to fight, showing amazing tenacity and courage in the face of danger. In many ways, the identity of the young country was forged on those bloody battlefields. About 650,000 Canadians and Newfoundlanders (the province then still a colony of Britain) had served during the war, beginning in 1914. The last Canadian veteran of the conflict — John Babcock — died in February 2010 at the age of 109. After Babcock's passing, the federal government announced that it would hold a national commemorative ceremony on April 9 to honour all Canadians and Newfoundlanders who served during the First World War. Soldiers injured in the first world war recover at the Ontario Military Hospital in Orpington, Kent, UK. Between the declaration of the Second World War in September 1939 and the conflict's end in 1945, Canadians fought in Dieppe, Normandy, the North Atlantic, Hong Kong, during the liberation of Italy, and in many other important air, sea and land campaigns. In total, more than one million men and women from Canada and Newfoundland served in the army, air force and navy. More than 47,000 did not come home. Canadian troops played a crucial role — and made a mighty sacrifice — in the 1944 D-Day invasion and the Battle of Normandy, a major turning point in the war's Atlantic campaign. More than 5,000 were killed in the land invasion in France. The Canadian Army went on to play a significant part in the liberation of the Netherlands, which ended in 1945. The Dutch, having suffered through an extremely harsh winter, enthusiastically greeted the Canadians and forged a strong friendship between the two countries that lasts to this day. Since the end of the Second World War, Canadians have taken part in dozens of United Nations peacekeeping missions around the globe, from Cyprus and Haiti to Bosnia and Somalia. Troops have seen active combat as well. In Korea, 26,791 Canadians served during a conflict that raged between 1950 and 1953. The battles of Hill 355 and Hill 187, among others, saw Canadians fighting in swamps and rice fields, through torrential rain and snow, in the air and at sea. In 2003, Canada marked the 50th anniversary of the Korean War Armistice by unveiling the Monument to Canadian Fallen at Confederation Park in Ottawa. The words "We will never forget you brave sons of Canada" are inscribed at the base of the monument, which also contains the names of all Canadians who lost their lives in Korean War service or subsequent Korean peacekeeping service. Canada has steadily increased its military involvement in Afghanistan since the Taliban regime fell in 2001. By 2006, Canada had taken on a major role in the more dangerous southern part of the country as part of the NATO-led International Security Assistance Force (ISAF). The fighting grew fiercer, and the casualty count rose. By November 2010, 152 Canadian military personnel had died in the country. One Canadian diplomat, one journalist and two Canadian aid workers have also been killed. 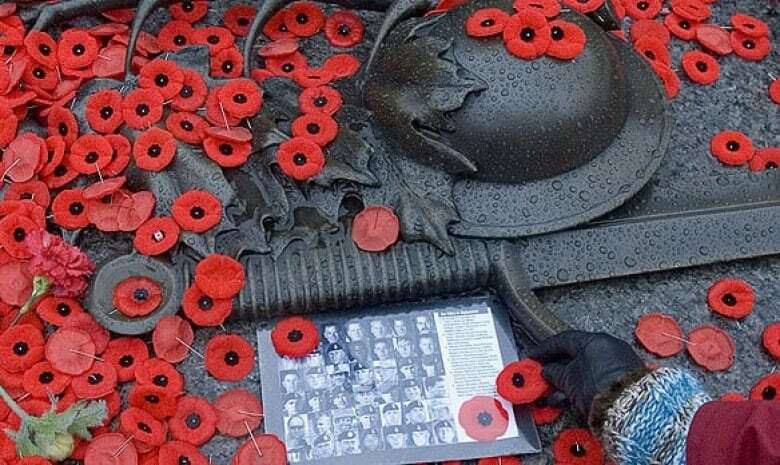 Canada's contribution to the First and Second World Wars is recognized and remembered all over the United Kingdom, especially around Nov. 11. Among the ceremonies in 2009 was the unveiling of a historic mural at a hospital in Orpington, Kent. The mural commemorates a once-famous hospital that was paid for by the people of Ontario. In 1915, the Ontario government donated $2 million to build a treatment centre for soldiers wounded on the battlefields of France. It was a huge amount of money for the time, and the hospital became one of the most up-to-date in the world. Fully staffed by Canadian doctors and nurses, the Ontario Military Hospital treated more than 25,000 badly injured soldiers between 1916 and 1919. The majority of patients were Canadian, but the hospital also saved the lives of soldiers from Britain, Newfoundland (then a British colony), Australia and New Zealand. Thanks to state-of-the-art treatment, just 182 patients died — less than one per cent of those admitted to the facility. Those who didn't make it are buried in what's know as "Canadian Corner," a graveyard in nearby All Saints Church. One of the Canadian doctors who worked at the hospital was Thomas McCrae, brother of John McCrae who wrote the poem In Flanders Fields. Forced to deal with soldiers suffering from horrific facial injuries, Thomas McCrae was an early pioneer of plastic surgery in the Ontario Military Hospital. 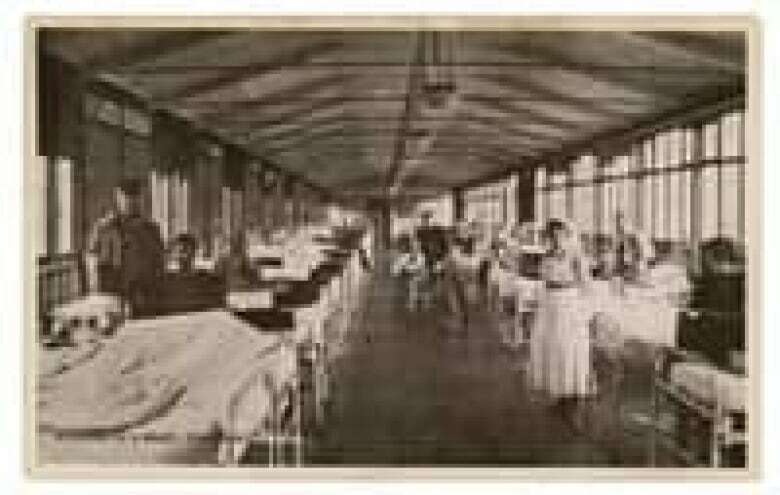 The hospital also set up one of the first occupational therapy programs for shell-shocked survivors of trench warfare. The hospital, renamed the 16th Canadian General Hospital during the war, was torn down in the 1960s. It has been replaced by the modern Orpington General Hospital which now boasts a Canada Wing, as well as Ontario, Quebec and Mackenzie King wards. Hospital officials hope the new historic mural will be a constant reminder of Canadians' sacrifice and life-saving service.